If you are looking for fleet repair services in Lafayette, IN, our auto mechanics at Guaranteed Automotive & Transmission Service are the ones for the job. Since 1983, our team has been chosen a time and again by drivers throughout the region. Our commitment to quick and accurate service has earned the loyalty of generations of customers. 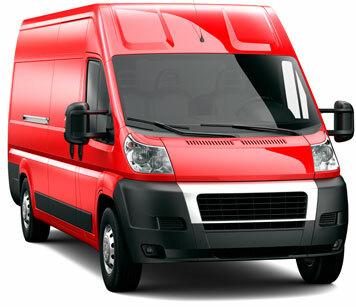 We recognize just how vital your fleet is to the overall operation of your business. That’s why, at Guaranteed Automotive & Transmission Service in Lafayette, our auto mechanics go that extra mile to ensure your fleet repair services are efficient and effective. Our fleet repair services may be quick, but all car repair is performed to last. Just like how your operation depends on your fleet, you can count on the fleet repair services performed by the auto mechanics at Guaranteed Automotive & Transmission Service in Lafayette. “I am so grateful to these guys for helping me with an automotive emergency. I was on my way to the airport when my driver's side window got jammed halfway open. I had called a few other businesses in the nearby area first, all of which were not able to help. Finally, Guaranteed Automotive & Transmission Service swooped in and saved the day. The owner helped me with my car (used his lunch break, no less, so kind and skilled.) It took less than 10 minutes, and they saved me from missing my flight. Thank you so much!! I wish I could do more than write this review!”-- Carla B. When we say we care about you and your car, we mean it. As a family-owned and operated car repair shop since 1983, you can tell we put our heart and soul into delivering you a personable and courteous experience. Combine our commitment to honesty and integrity with our expertise for fleet repair services, and you can see why we are the ones Lafayette drivers turn to when their vehicle needs service. Schedule an appointment online , or stop by Guaranteed Automotive & Transmission Service at 3742 State Rd 38 East. Lafayette, IN 47905.